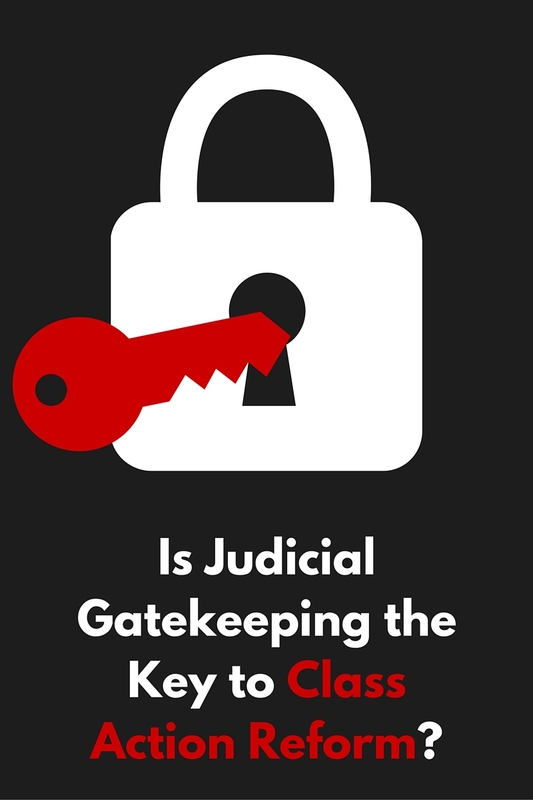 One of the most important roles that judges play is that of gatekeeper. In short – it is their job not only to decide cases, but to decide if and how a case can proceed to final judgment. This procedural aspect of the job is just as important as the substantive side, but it is often overlooked. However, we must not let the tendency to overlook this role of the judiciary diminish its significance, or result in a lack of oversight on our part. It is just as critical that judges be held to a high standard in their application of the procedural rules as it is their substantive decisions be scrutinized. In the realm of class actions, NJCJI has been closely following the development of three key areas of procedural law: the ascertainability of classes, the availability of interlocutory review of class certification decisions, and the approval of settlements. There are improvements that can be made in each of these areas, so the courts should step up their gatekeeping role and bring greater scrutiny to class action cases and settlements. 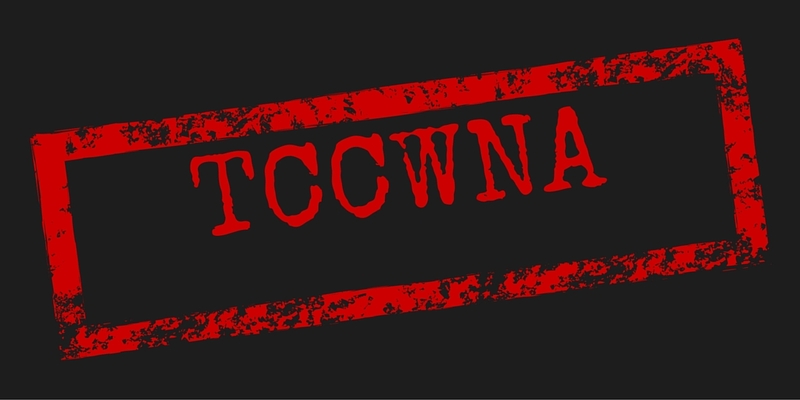 If you are being sued, the first two questions you are probably going to ask are “By who?” and “For what?” Without this essential information it would be impossible to defend yourself, so courts have recognized that defendants have a Due Process right to this information. But what about defendants who are being sued by a whole bunch of people in a class action suit? Do they still have a right to know what they are being sued for and by who? The answer to these questions is everyone’s least favorite lawyerly dodge: it depends. The “for what” question is easily answered. Federal law is pretty clear that the nature of a claim must be well described in order for it to proceed. The “by who” question is a bit murkier. There is an ongoing debate in the courts over just how much information defendants must have about exactly who is suing them in order for a case to proceed. In 2013, the Third Circuit Court of Appeals held in Carrera v. Bayer, 727 F.3d 300 (3d Cir. 2013), that in order for a class of plaintiffs to be “ascertainable,” it must be feasible for the defendant to reliably identify the potential class members and challenge the evidence of any individual claiming class membership. This would suggest that cases where affidavits serve as the only evidence that a claimant is a class member are no longer acceptable. When the concept of ascertainability is applied inflexibly it becomes a device that serves to burden or eliminate nascent class actions without providing any societal benefit. We find this federal doctrine as urged here imposes far too heavy a burden on class certification where the purported injuries on class members are so minimal as to preclude the likelihood that they would be individually asserted. Although we have misgivings about the ascertainability doctrine’s use at the certification stage in any class action, we decline to consider its application in cases other than those involving low value consumer class actions because of the concept’s novelty. While the federal courts are divided on the Carrera standard for ascertainability, to say it should play no role at all at the class certification stage is a significant departure. This decision makes New Jersey an outlier, and a potential magnet for consumer class actions. This is not good policy to be adopting as we struggle to improve our state’s business climate and continue to recover from the great recession. We are closely monitoring the nation-wide debate over ascertainability that is playing out in the courts, and will engage on this issue when appropriate. If you are involved in a New Jersey case where ascertainability of the class is an issue, we’d like to hear from you. Click here to contact us. Daniels Decision Will Attract More Class Actions to NJ State Courts: NJCJI, May 22, 2015. Third Circuit Case Could Limit Consumer Class Actions: NJCJI’s Alida Kass in the NJLJ, June 30, 2014. In New Jersey state courts, the class certification stage (where the judge decides if a group of plaintiffs can bring a suit together as a class) of a class action case often has a greater effect on the outcome of the litigation than the underlying merits of the case. For plaintiffs whose request for class certification has been denied, the costs of continuing to litigate individually far outweigh the benefits expected. On the other hand, defendants facing the certification of a questionable class, must decide whether to spend resources litigating a class action case that may have been erroneously certified, or settle, even if they did nothing wrong. Most settle. Orders granting or denying class certification are not appealable as of right; an aggrieved party must move for leave to appeal pursuant to Rule 2:5-6(a). We recognize, however, that the decision to grant or deny class certification often has a profound effect on the litigation. Accordingly, we will hereafter, as a general matter, liberally indulge applications for leave to appeal: (1) “when a denial of class status effectively ends the case (because, say, the named plaintiff’s claim is not of a sufficient magnitude to warrant the costs of stand-alone litigation)”; (2) “when the grant of class status raises the stakes of the litigation so substantially that the defendant likely will feel irresistible pressure to settle”; and (3) when permitting leave to appeal “will lead to a clarification of a fundamental issue of law.” Waste Mgmt. Holdings, Inc. v. Mowbray, 208 F.3d 288, 293 (1st Cir. 2000); see also Blair v. Equifax Check Servs., Inc., 181 F.3d 832, 834-35 (7th Cir. 1999). NJCJI is currently monitoring class action cases filed in New Jersey courts to see whether the guidelines laid out in Daniels v. Hollister Co. will be followed. Rules Governing the Courts of the State of New Jersey, Rule 4:32-1. Requirements for Maintaining Class Action. Rules Governing the Courts of the State of New Jersey, Rule 2:2. Appealable Judgments And Determinations. “If you bought a Subway Six Inch or Footlong Sandwich between January 1, 2003 and October 2, 2015 your rights could be affected by a lawsuit.” This ominous message, which appeared on a class action claims site, is intended to alert sandwich-eaters everywhere that our long national nightmare is over, the Subway “Footlong” lawsuit has been settled. So, what do we get? Money? Free sandwiches for life? Nope. In exchange for dropping the lawsuit, Subway has promised to do a better job with quality control to ensure that its sandwiches measure up. Class actions are supposed to help the plaintiffs recover losses, not merely compensate enterprising attorneys. Judges in cases like the Subway “Footlong” lawsuit need to take a close look at the settlements being proposed to ensure that consumers and shareholders are not being taken advantage of by attorneys who are overly eager to settle the case at hand. NJCJI applauds the work Ted Frank and the Competitive Enterprise Institute’s Center for Class Action Fairness. 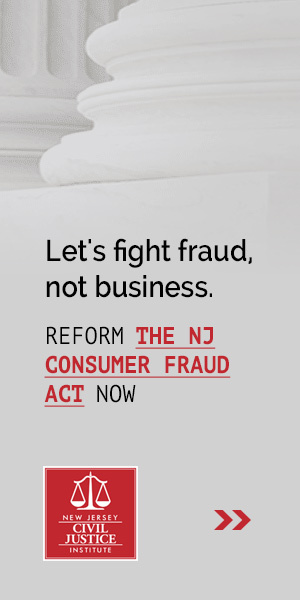 Frank, who was a keynote speaker at one of NJCJI’s events, has revolutionized the law of class action settlements by objecting to settlements that appear to abuse the rights of consumers and shareholders. Since 2009, Frank and the CCAF have won millions of additional settlement dollars for consumers and shareholders, and won landmark precedents that safeguard consumers, investors, courts, and the general public.